Dhaka, 3 June, Abnews: Prime Minister Sheikh Hasina on Sunday laid emphasis on creating a social movement against drugs as the one done against militancy. "There was a social movement against militancy; like that we want another social movement against drugs," she said. The Prime Minister was speaking at a videoconference arranged to inaugurate four amphibian dredgers, Gajaria-Munshiganj ferry terminal and ferry service, four container carrier vessels and two mini utility ferries from her official residence Ganobhaban. Sheikh Hasina said her government does not want the future of the country’s children to get ruined. "We don't want to see someone to become terrorist and drug addict." She said the government wants every child to be the worthy citizen of the country and work for its development. "They’ll build themselves in a planned way, they’ll build a prosperous life, and that’s our aim. That’s why the government wants to eliminate terrorism and militancy from the country and root out drug addiction as well. So, there’s a need to create a social movement…everyone should remain alert," she said. 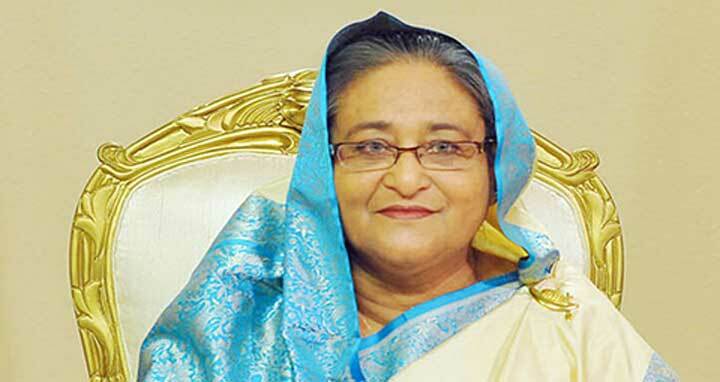 Hasina urged all the guardians, teachers, imams and religious clerics to remain vigil. The government wants to build the country beautifully where the future of every child will be brighter and all will be able to flourish their merits and devote themselves to nation-building activities.